"We're starting to see professional burnout in young nurses — nurses with less than five years experience — which is extremely problematic," said the president of the Quebec Nurses' Association. Quebec's largest nurses union staged an overtime strike today to call attention to what its members say is a chronic problem that is leading to professional burnout. The nurses worked their regular shifts but nothing more, in an effort to draw attention to the problem. 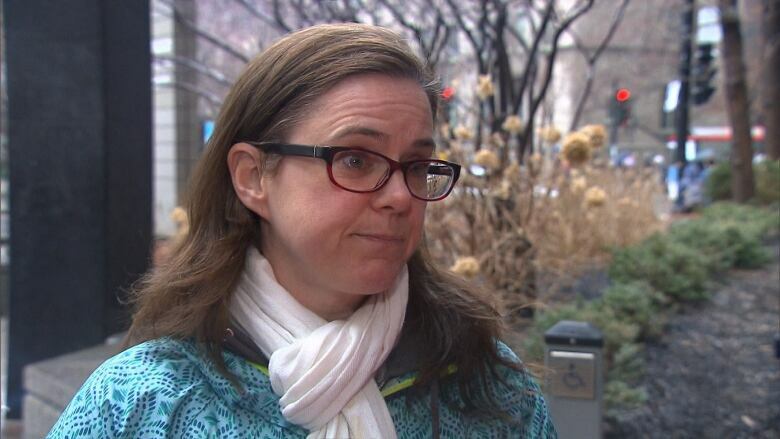 Natalie Stake-Doucet, president of the Quebec Nurses' Association, told CBC Montreal's Daybreak that some hospitals require nurses to work overtime nearly every day. "Forced overtime has really become standard practice in hospitals in Quebec," said Stake-Doucet, a registered nurse who is doing her PhD at Université de Montréal. "It's hurting nurses, quite literally. We're starting to see professional burnout in young nurses — nurses with less than five years experience — which is extremely problematic." Nurse Meredith Jones says the job means facing pressure from all sides, adding that there's an emotional and physical toll. "You've got somebody who is tired and may not be able to provide the safest care because they aren't thinking clearly," she said. Alex Magdzinski, a current nurse who came out to protest Monday, said the overtime can have adverse effects on employees' home lives. "There's stories of nurses that have had marriages fall apart because of this, families that have fallen apart because of this," he said. 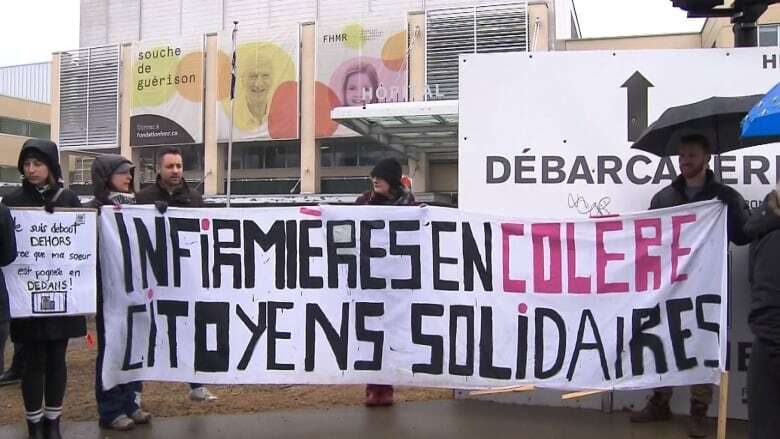 The Fédération interprofessionnelle de la santé (FIQ), which represents 76,000 nurses, said Monday's strike is an attempt to pressure the Coalition Avenir Québec government to follow through on election promise to end mandatory overtime. 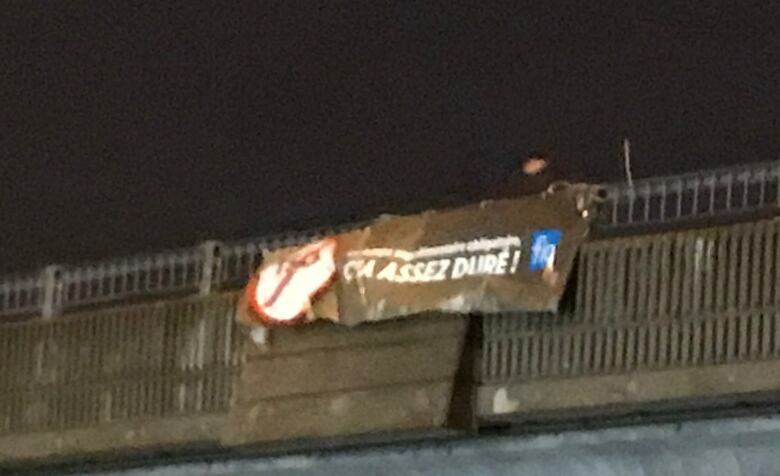 The union hung a banner over Highway 19 in Laval to draw attention to their cause. Speaking Monday, Health Minister Danielle McCann promised to eliminate mandatory overtime for nurses within the CAQ government's first mandate. "Four thousand nurses left the network in the past four years. That is very, very concerning. What we are saying is that we will improve the conditions," said McCann. The province is adding $200 million to hire healthcare workers in CHSLDs, hospitals and other institutions, McCann said in a statement last week. Nurses had asked for closer to $350 million. In reference to the strike action, McCann called on provincial health institutions to plan staffing accordingly. She also said the planned FIQ protest must not disrupt the health and safety of patients. The province's administrative labour tribunal ruled last Friday that nurses would be required to do overtime in the event of an emergency. The ruling states that on April 8, the nurses "must accept, without conditions, all requests for overtime in urgent and exceptional situations." The McGill University Health Centre said last week it doesn't anticipate it will have to close beds or cancel surgeries because of the overtime strike. "We have mobilized our teams to thoroughly review the work schedules of all areas of our sites to ensure the quality and safety of our patients' care," MUHC spokesperson Gilda Salomone said.